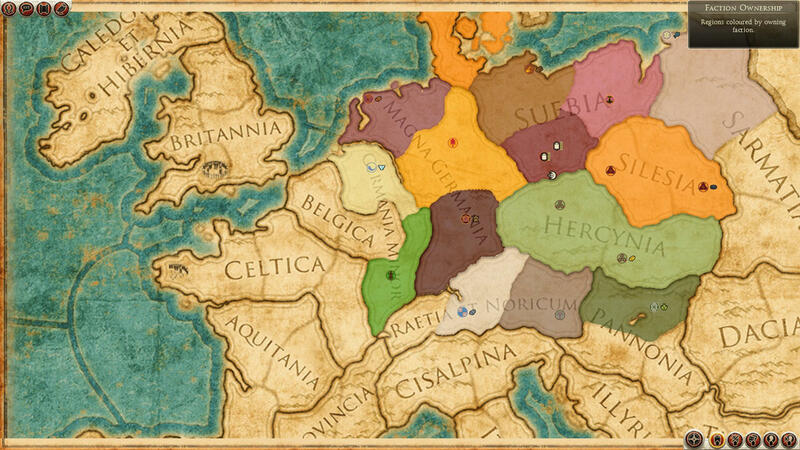 View Poll Results: Should I add Warhorses as a campaign map resource node ? PLEASE THINK BEFORE SUGGESTING RESOURCE RELOCATION OR ADDITION, AND THEN REFERENCE HISTORICAL DATA. I KNOW WHERE THINGS ARE OFF, AND WHERE THEY ARE NOT. THIS IS A VIDEO GAME, AND THAT HAS TO BE KEPT IN MIND. I DO NOT WANT TO HINDER THE AI, OR MAKE RESOURCES TOO DENSE OR SPARSE IN AREAS. AREAS THAT HAVE SPARSE RESOURCES ARE INTENTIONAL AND HAVE ADDED FEATURES TO COPE WITH IT. WITH THAT SAID. IF YOU HAVE A LEGITIMATE SUGGESTION, AND HAVE PLAY TESTED THE MOD, AND REFERENCED THE LOCATION VIA THE SUPPLIED RESOURCE MAP. BY ALL MEANS PLEASE HELP ME. For use with Grand Campaign only! I designed this for my own playthroughs... however now I am sharing it. Its been extensively play tested, a lot of thought has went into the balancing, location, addition, and requirements of resources based on culture and history. However remember this is a video game, so it has been balanced with that in mind. I didn't want to go overboard and have everything be required at all times. Obviously there is more wood than just the timber we find right? I feel that the resources included are the best of the best if it were. I just couldn't stand in vanilla that I never even cared what resources a faction had. Never bothered too look. In Shogun 2 it mattered... and now here, it matters even more. Another side goal was to make the faction unique buildings more desirable... now they are, and they are harder to acquire. 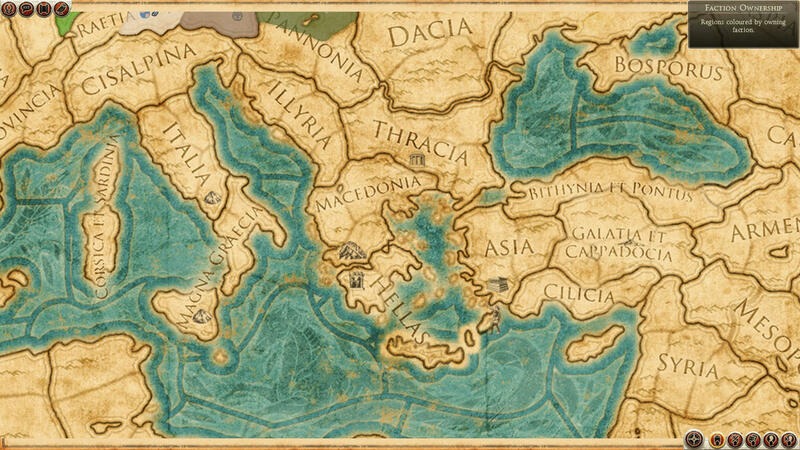 Included in this mod is a Campaign map edit which depicts all of the Wonders of the World currently in the game. This occurs when you hit tab or in the diplomacy screen. 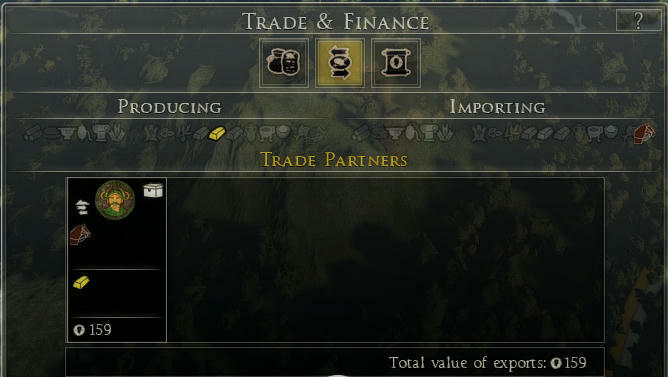 Similar to how Shogun 2 showed you region specialties. Examples are below. Copper Resource nodes added throughout campaign map. Fish removed from Ports and added to Fishing cities. Added MANY fish nodes throughout the campaign map on coastal minors. There were far too few in vanilla. Removed some resource locations for balancing. 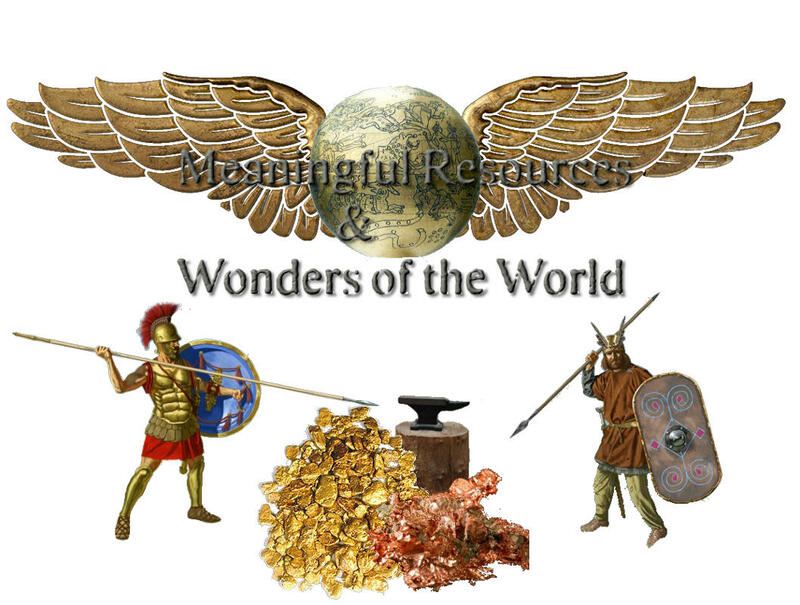 Add my Wonders of the World Overlay project! Compatibility for Beta Patch 7. Started to make leather a little more important in the grand scheme of things. 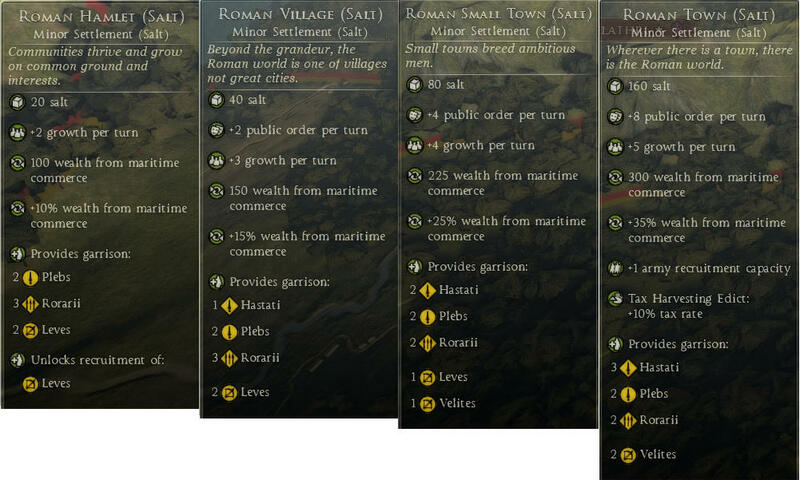 Salt, Warhorse, Slaves(New), and Copper all added as completely new building chains. Warhorse Breeder & Storage Buildings for all factions. (City Centres) (Barbs had their base storage buildings edited to coincide.) Old Slave City Centres edited for same supply method. Hotifx for tech redundancy. Was not game breaking. Update at your leisure. AI should make better use of new building chains now. Updated for Patch 8 compatibility. Resource nodes added throughout the campaign map in strategic locations. KEEP IN MIND. BEFORE YOU ASK, I BELIEVE IN RESOURCES HAVING A POINT. I'VE HAD MANY REQUESTS FOR BUILDINGS THAT YOU BUILD, WHEREVER YOU WANT, TO MAKE A CERTAIN RESOURCE. I ASK, WHAT IS THE POINT THEN? I HAVE SOME BUILDINGS THAT BUILD SPECIFIC THINGS AT YOUR DESCRETION, BUT THERE IS DESIGN AND INTENT BEHIND THEM. EXPLAINED BELOW. 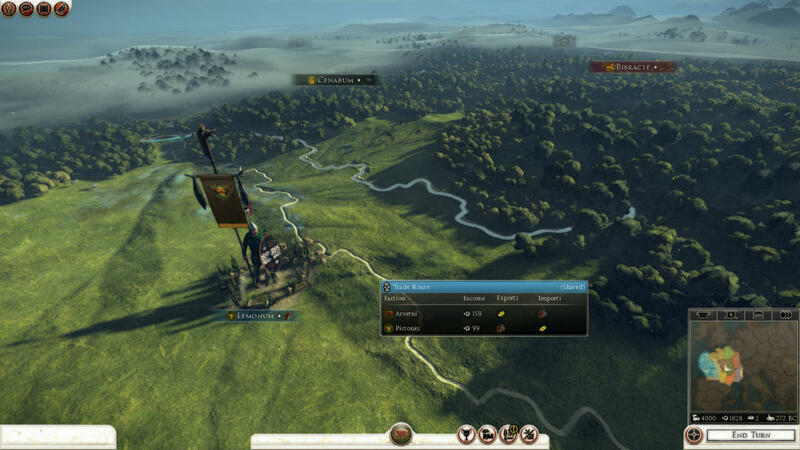 -All resources are produced via campaign resource nodes. As in Vanilla. 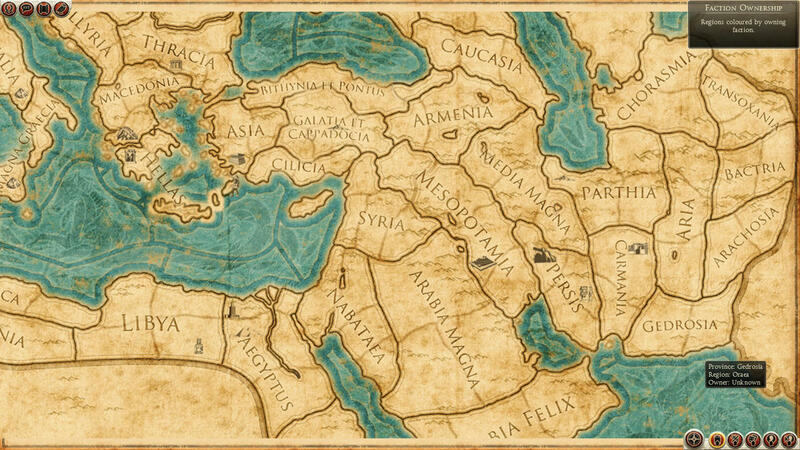 I have spent a lot of time balancing them out throughout the campaign map; as well as play testing all cultures for validity. The goal here was NOT TO HINDER the already struggling AI. 2 City Centre Building Chains added(Yellow Icons, can only be built in capitols) . Warhorse chain, Storage Chain. 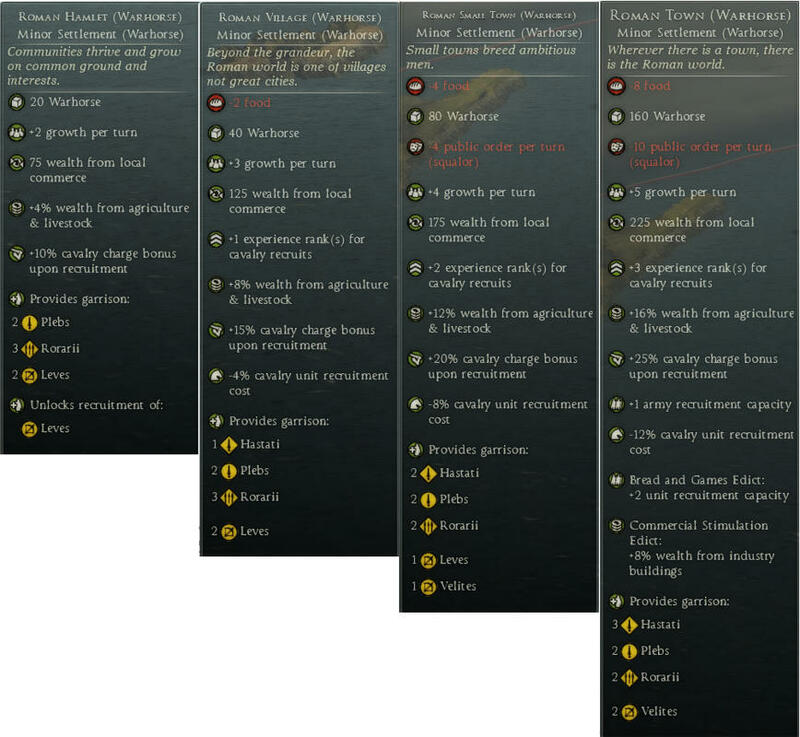 The warhorse/Storage chain, each tier, requires that you ALREADY have the Warhorse/Salt/Grain resource in order for it to be constructed. However, once constructed it will produce 1-8 Warhorse/Salt/Grain itself. Enough to then OFFER it for trade. (since you can't offer things for trade that you import only) Not enough to get a big profit. This design intent is to create a SANDBOX supply chain. It's quite interesting to see how these form throughout a campaign. The main reason for this is because Warhorse and Salt Resource are rare. 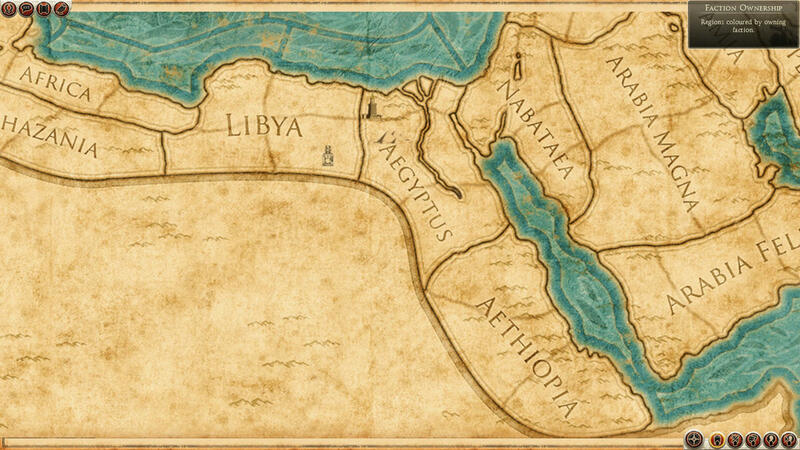 Only 2 locations each throughout the whole Campaign map, placed based on historical data. Grain has been tied into the Storage Chain as well. (1 Example of Salt location, is off the coast of the Adriatic on Italian Peninsula) You might just see that famous salt supply column from the Adriatic heading north. However it might head south. Its a sandbox after all... and the AI does random stuff. Slaves work in the same way as above. However the existing Slave City Centre chains have been edited to function like the above centres. 2 Slave Cities are currently present in the game. The New Slave, Warhorse, and Salt minor cities now specialize in what you would think they do. These are GREAT assets to hold. The New Storage, Warhorse City Centres specialize in what you would think they do. Examples Pics listed below. 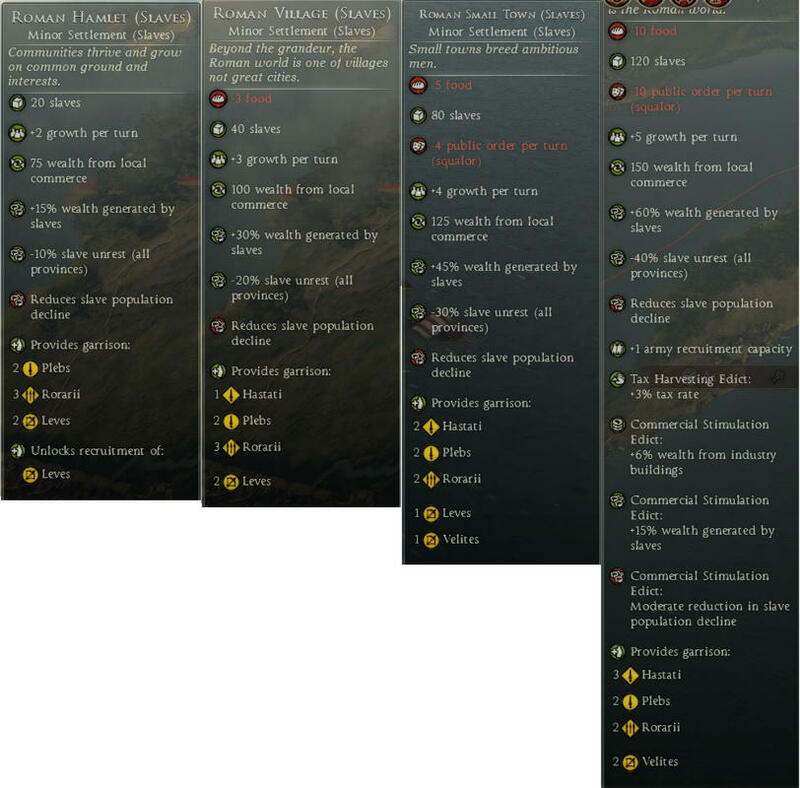 -All tier 5(faction unique) special buildings. Cost Increased. The effects of these buildings have been buffed.. some significantly. -Barbarian Storage & all faction Slave Trader buildings to be in line with description above. Many buildings, equipment, and training have been gated via resources. The design intent is to gate off units or excessive income. You may find that some chains don't have a resource requirement until Tier 4, where some might have a requirement at Tier 2. It all depends on the units available. This was also implemented in a way to NOT hinder the AI. (my additions added in black plain text) Thank you CanOmer for original map! Wonders of the World Examples Here! Want it to work with AFP mod? Check page 7, Rhinoinsomniac explains the process. Thank you crzyndm for help with building chains. Anyone want to include this mod in one of their compilations or overhauls. Just supply credit please. All Startpos changes documented above to make it easier. Last edited by Xil0; December 20, 2013 at 02:48 AM. Let me be the first one to + rep you on this great mod. Economic warfare now becomes much more interesting! Keep up the good work! I really like your idea about tying certain buildings to resources. Perhaps do the same for top-tier units? Was looking into it... this sort of does this. My thought process revolved around gating the top units via the building requirements. I'm sure I will change things as it progresses. 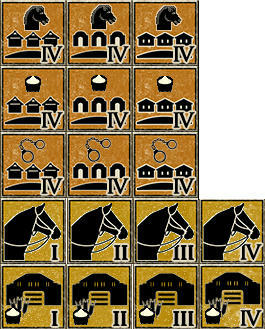 I was 3/4 of the way in adding horse/copper resource buildings but the campaign map is crowded as it is with resources. BTW Hellbent finally decided to try your mod. Hard to go back to vanilla. Wow. There were resources on the campaign map before? I must try this if I ever start new campaign. Worth starting over with this mod on ! Great work ! 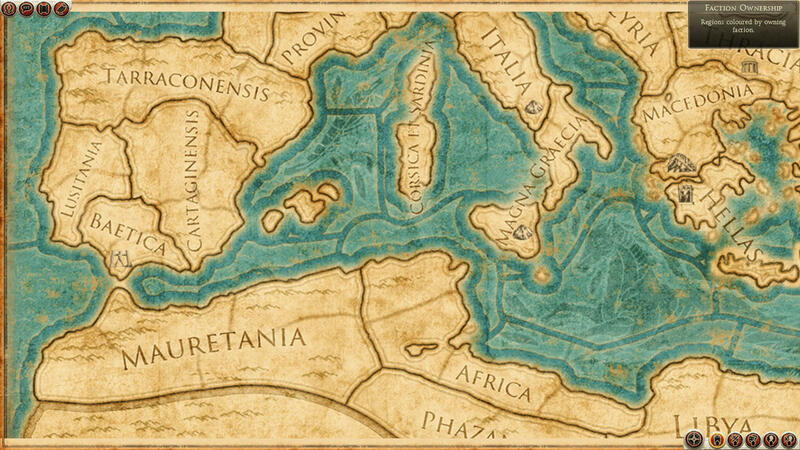 really great work, reminds me of europa universalis : rome's system, this was something i was planning on doing once i got done with RRR, awesome to see it already done! with buildings generating resources though, how do you stop this system becoming irrelevant in late game, when the player is likely to have the buildings to produce everything everywhere? You know I thought about the same thing. That is why I tried to keep it to a minimum with that. In the end a copper node and perhaps warhorse nodes might make it in... well see. 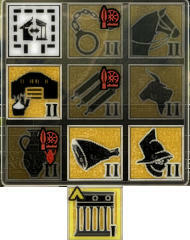 Right now Im enjoying a playthrough with this, some minor balancing fixes, and Bullgod icons. I'd like to report/ask a minor issue. I cant seem to produce fish from the fishing ports. After a while i saw rather than fishing ports fishing settlements produce the fish resource. Was this intentional? I dont have any mod making changes to the building_effects_junctions table. (Other resources seem to look working btw). Nothing game breaking, but i'd like to fix this if i can. Edit: Saw through pfm that it was assigned to only barbarian factions' ports. Other cultures seem to be able produce fish through fishing cities. Just pointing out to ya . Enjoying your beautiful mod right now. Thank you! My last play was with a barb faction so I will fix this asap! Later today even. This mod is one of the best mods out there. It adds a lot to the game without messing other things up. Well done mate. Just an update on what Im working on. In the process (these past few days) working on finishing up with an experimental version Im working with. Having copper via ports really really bothered me. So Im adding new copper resource nodes throughout the campaign map. (Tedious but will be worth it) and adding the new building levels/icons as well. 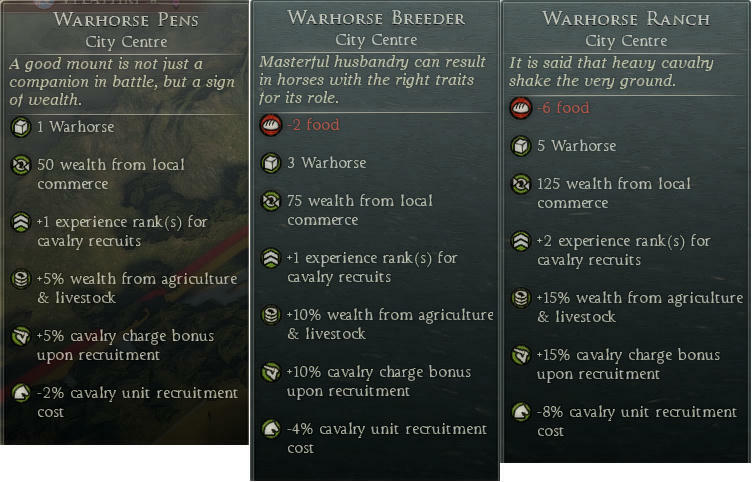 Im *thinking* about adding warhorses as a requirement for building levels that give factions access to high tier cav... would anyone using this mod like to see warhorses ? 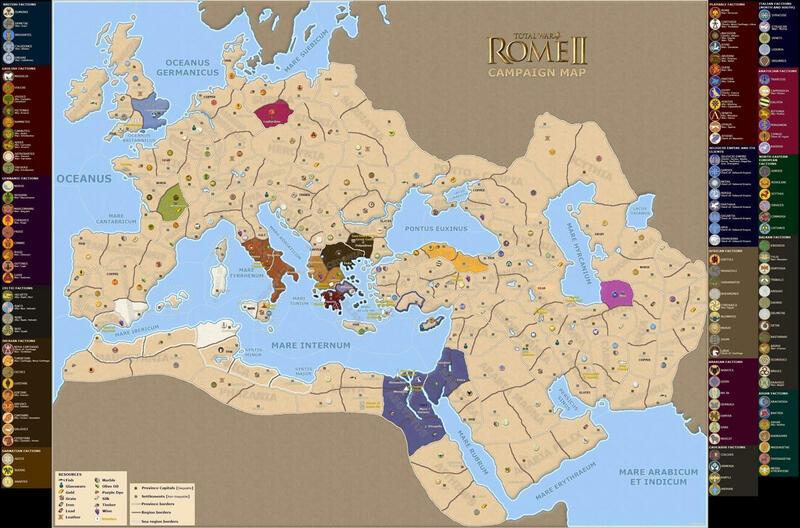 I found a handy Rome II map online showing all the resources on the map. I am adding (via plain text) over regions where I have added resources.. Ill probably upload that here as well for a reference for people. Last edited by Xil0; October 29, 2013 at 06:54 PM. Would this restrict recruitment of ALL high-tier cavalry units? I feel like that would be too restrictive, if so. Maybe just a big bonus to cavalry stats instead? (Or restricting only the very, very, very high-tier cavalry units). Will we have to start a new campaign for the copper nodes to appear? I think warhorses would be a good addition if horses specifically bred and trained for warfare was actually a largely traded and needed commodity during the period and I think it would be fine for it to restrict cavalry recruitment as long as it's a common enough resource on the map. Is this mod compatible with Helbent/Dresden mods and Radious mod? How about salt as a valuable commodity old chap...need I explain the importance sir?